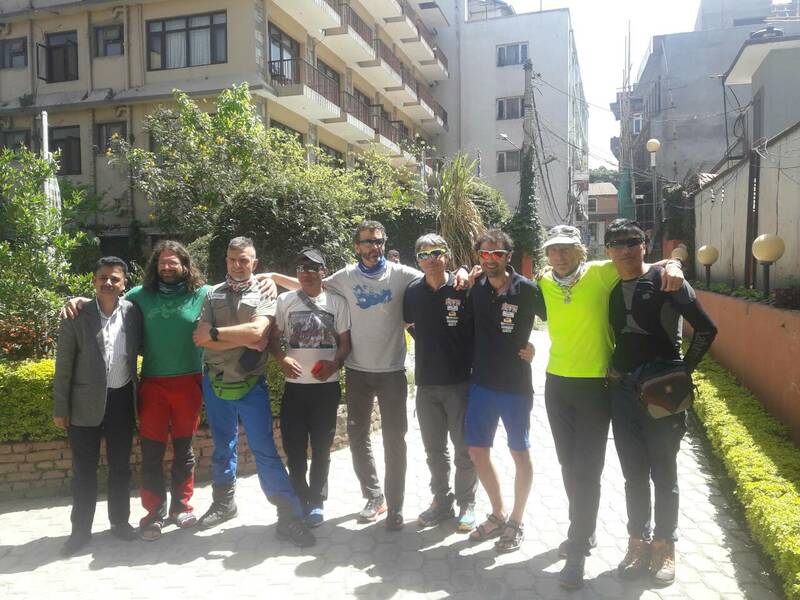 Alexandr Nastenko is an Ukrainian climber, who took part in the spring 2018 Shishapangma expedition, which unfortunately was the last one for Bulgarian Boyan Petrov. 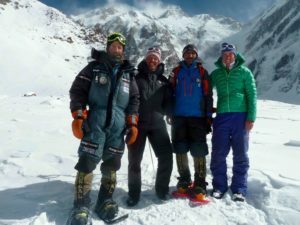 Nastenko, the Chinese mountaineer Lui Jing and a few Sherpas were the only ones to reach Central Peak (8012m) this season. None succeeded on the main peak (8027m) because of the high avalanche risk and the bad overall conditions. 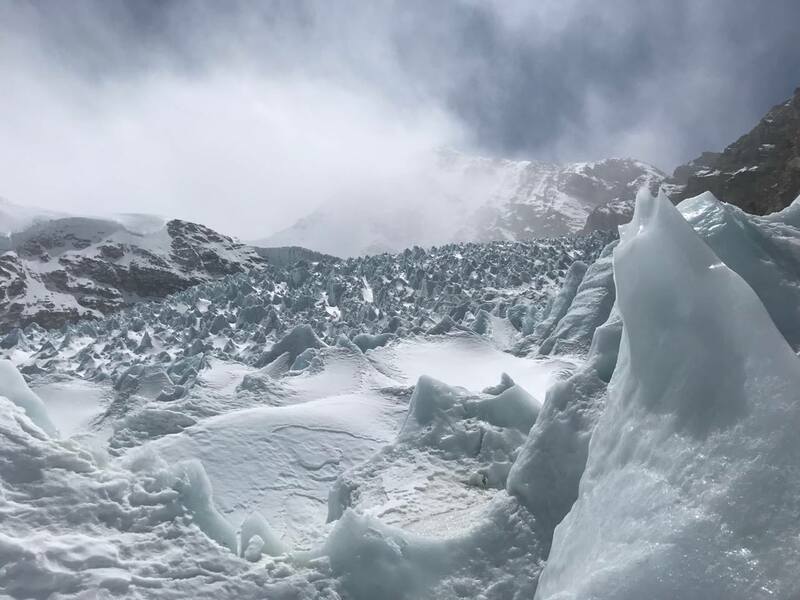 Unfortunately, this interfered with Lui’s plans to become the first Chinese woman to climb all 14 eight-thousanders, as she has already summited the others. 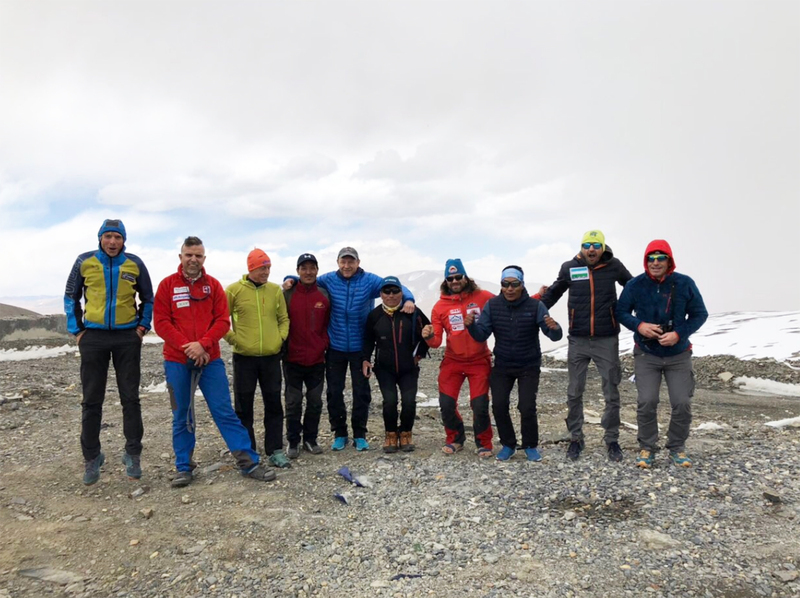 Alexandr told his story about the tragic events on Shishapangma and shared his memories of Boyan Petrov with Lucy Stamenova at SummitsWeb, who in turn translated the story for ExWeb. The original can be found here. Boyan Petrov! We got to know each other at the border between Nepal and China. To be more precise – he got to know us. He just approached and said “My name is Boyan, I don’t speak Russian very well.” Actually, his Russian was pretty good and since the first moments, thanks to his simple but concrete communication manners, he managed to win us over. I felt like I met an old friend I have not seen in a while and now we have a lot to talk about and catch up. We crossed the border together, talking about the Tibetan landscape and sharing our impressions. It was the first time in Tibet for both of us. He headed off first from the Chinese base camp, right after the yaks with the equipment. He always wanted to be first. When we arrived at lower Base Camp (Advanced Base Camp was at 5700m), we were happy to find our tents placed next to each other. 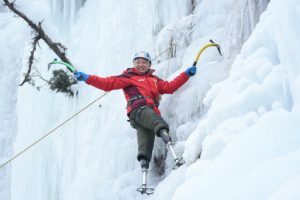 He came up with a smile and said “It will be a tough climb, as even the trek between the two base camps is 17 kilometers!” He had already climbed 10 peaks above 8000. After Shishapangma, he was supposed to go for Everest from the north, he already had a permit. His summer plans were to climb Chan Tengri and Pik Pobeda in the Tien Shan with friends, and in the autumn he was looking ahead to Cho Oyu. He looked like he was always thinking of this dream of his, he would often stare at something while talking to me, as if he was deciding which route to take or refining his next moves on the slopes. His ability to work was supernatural; he worked more than anybody in the camp. There was no single day that he won’t get high above the camp. Even if the weather was too bad for reaching high camps, he would go once or twice per day to the hill (6100m) next to ABC, to help acclimatization. He was in a hurry, his idea was to succeed on Everest by May 15. On April 29, I met Boyan for the last time. I was coming down from acclimatization, and he was going up. He said he was planning his summit push for May 2, the first of the season, as usual. The mountain there is really wild – there are no fixed ropes, no obvious route. I recall how happy he was when he found a route between Camp 1 and Camp 2 and then up to Camp 3. He spent a lot of time thinking carefully which route to take to the summit. [Translator’s note: his original idea was to use the Inaki route.] Finally he decided to go to Camp 3 and make his choice there, based on the slope’s condition. He was really fast along the route, moving like a machine, not a human being. On his way up the mountain, he was not carrying anything useless, just as few calories and clothes as possible. He intended to spend as little time as he could at high altitude. We wished luck to each other and he started his ascent, while I went down to BC. Down there, Sergei Bershov gave me Boyan’s satellite phone and said he left it for me, knowing I had urgent business issues to handle. 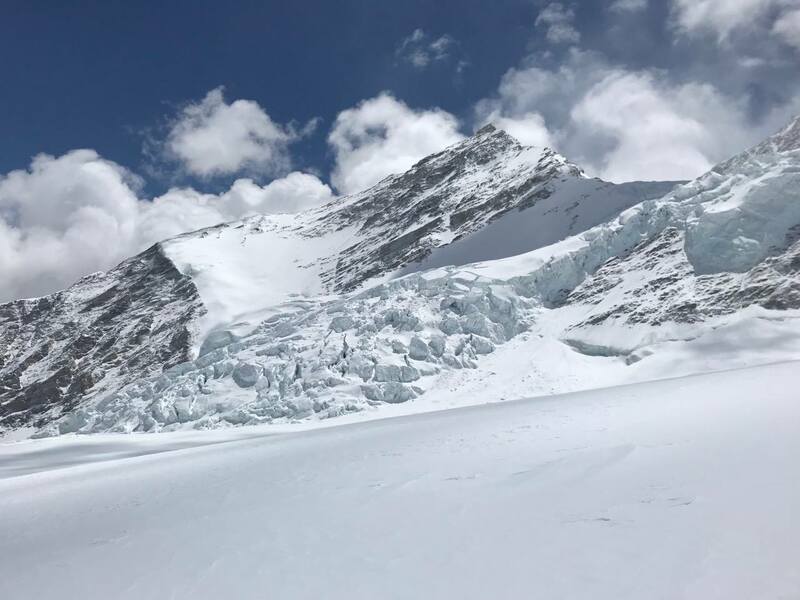 After two days’ rest, I and three Sherpas began climbing on May 2. On May 3, we were at Camp 2 (6700m). The weather was unstable – wind and snow. On May 4, the Sherpas delivered equipment to Camp 3 (7400m). They came back in the evening with bad news. They found Boyan’s tent, half open and filled with snow. His sleeping bag was inside. The weather then became even worse – strong winds and snow. Our Sherpas had left an oxygen bottle and a regulator in C3, in case Boyan returned and needed it. We spent another night in C2 with lights on for the entire night, hoping he had started to descend and needed some kind of a landmark. He didn’t appear by the morning so we decided to go down ourselves, as the weather became terrible. Boyan was climbing solo, with no rope or belay. The route was full of crevasses, icefalls, hard ice and mixed areas. I believe the tragedy happened on May 3, otherwise he would have returned to his tent at 7400m. During the next seven days, the weather was really bad and didn’t allow us to move above Base Camp. [Translator’s note: A few Sherpas did reach Camp 1 and close to Camp 2.] It was still snowing, and the winds were too strong. We managed to leave Base Camp on May 11 and reached Camp 3 two days later. Boyan’s tent wasn’t there any more; the strong wind gusts had carried it down the slopes. All I found were his T-shirt, a medical kit and a little food. 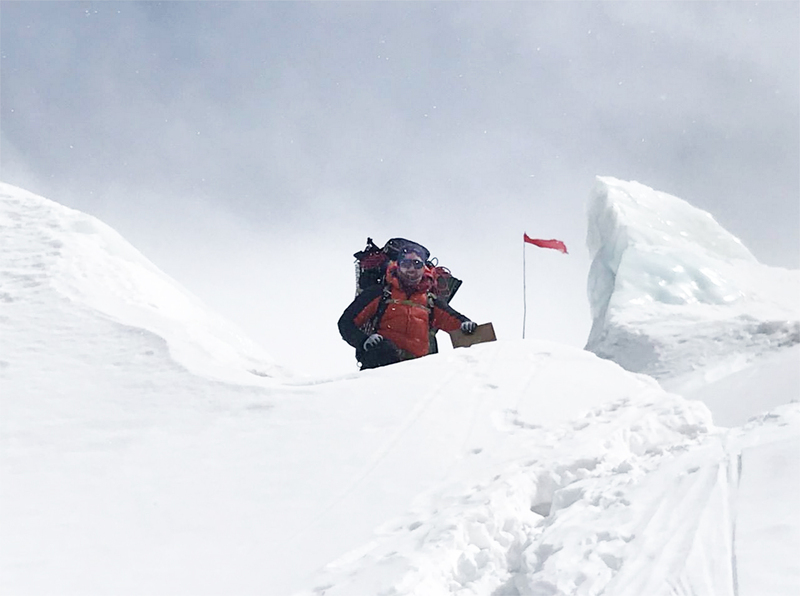 When we started our summit push on May 14, the wind was still strong. We reached the Central Peak, but the traverse to the Main peak was way too dangerous and it started snowing again, we were in a cloud. The snow was deep, up to a meter and a half. The Main Summit was just 100 meters away, but the altitude was above 8000 meters and we decided to turn back. There was risk of avalanches and falls. We didn’t notice any signs of Boyan while we were there. Meanwhile, the Chinese rescue services were already searching for Boyan, especially the areas around Camp 2 at 6700m. Army, police and Tibetan administration were involved in the operation. Three Nepali helicopters [Translator’s note: two, actually] were flying around Shishapangma at different altitudes, but they found nothing as well. 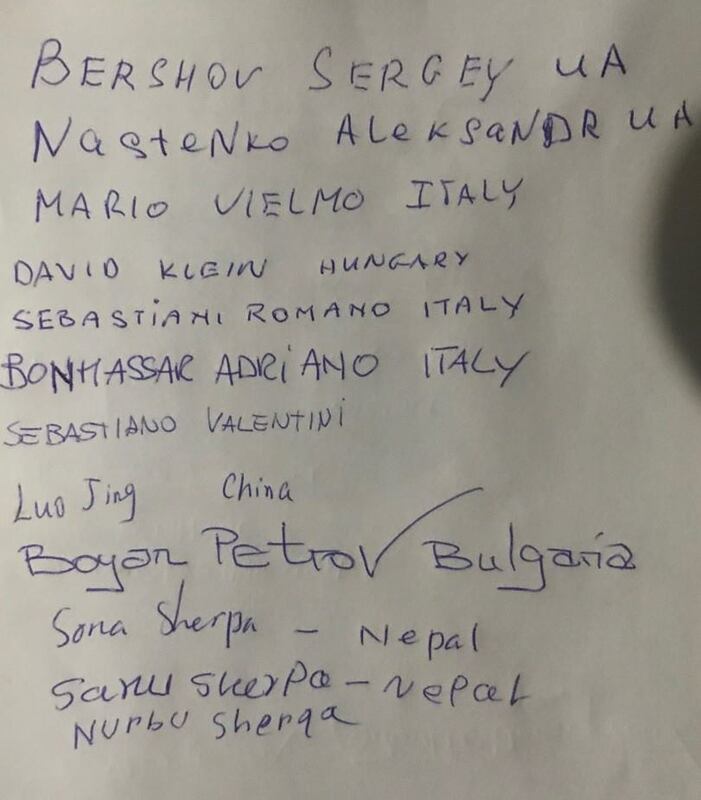 We, the Ukrainian team from Shishapangma 2018 expedition – Sergei Bershov and me, Alexandr Nastenko, mourn for this brave man with a huge soul and express our condolences to his family and the Bulgarian people. Original by Alexandr Nastenko. 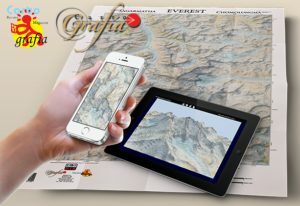 Translated by Lucy Stamenova at www.summitsweb.com, a Bulgarian outdoor news & blog website, run by mountain enthusiasts and adventure lovers.